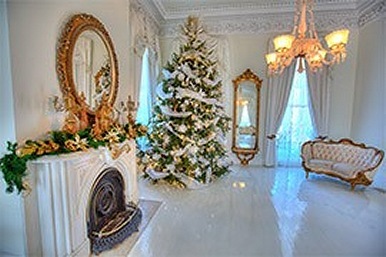 Amid the glittering elegance of an American Queen holiday cruise is a festive spirit larger than life. 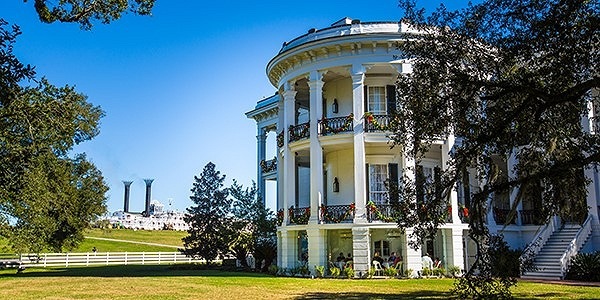 Experience the best of the antebellum South during a magical time of year, and get acquainted with classic traditions of the Cajun and Creole cultures. This voyage is packed with holiday treats. Let your creative juices flow in decorating gingerbread, ornaments, and even your cabin door. Make a joyful noise with caroling and singalongs. Our exclusive Christmas markets at Rosalie Mansion in Natchez, Mississippi, and Nottoway Plantation in Louisiana are the perfect venues for listening to holiday music while browsing seasonal goods and appreciating the artistry of local craftspeople. Guest speaker Tim Hobbs will share stories of the Crescent City, and after an evening with expert Mark Twain tribute artist Lewis Hankins, you’ll feel as if you’ve been entertained by the legendary American author himself. At the center of this thoughtfully designed getaway is an enchanting experience at Nottoway Plantation for an exclusive holiday gala on the grounds, lavishly decorated for the occasion. Spend a magical night dancing to live music by the American Queen’s own Steamboat Syncopators & Ensemble in the extravagant Randolph’s Ballroom. Wrap up your evening with the ceremonial lighting of bonfires on the levee, and a fireworks show. 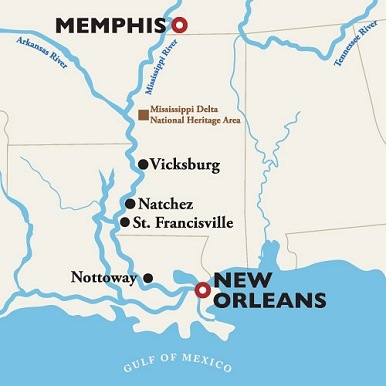 Complimentary shore excursions in every port of call, plus 15 optional excursions to such iconic spots as Graceland, Beale Street, Sun Studios and the New Orleans City Tour. 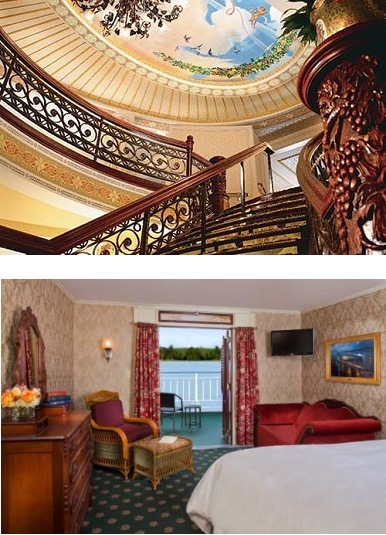 This special Christmas voyage sells out early so call Susan Rogers in our Vacations Department today to book your stateroom!! You can reach her at (678) 420-2510 or email her at vacations@teplis.com.